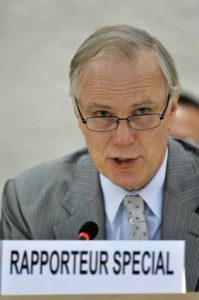 Law professor Philip Alston is a United Nations expert on extreme poverty. In his position as a U.N. Special Rapporteur he reports on places where pervasive poverty and human rights issues intersect, places such as Haiti, south Asia and central Africa. His latest work, however, is taking him to parts of the U.S., including the Ohio Valley. Alston visits Charleston, West Virginia, next Wednesday to gather information on pockets of poverty in the world’s richest country. The visit will include a town hall on topics including gaps in the social protection system, health issues including water and sanitation, the opioid crisis, access to healthcare, and the criminalization of the poor. “It isn’t a crime to be poor,” said Joseph Cohen, Executive Director of the American Civil Liberties Union of West Virginia. The ACLU is among the groups that will discuss the systemic causes of poverty in the region during Alston’s visit. Cohen said that the southern parts of West Virginia are plagued with addiction issues, untreated mental illness and homelessness. In the Ohio Valley region, more 2.5 million people live in poverty. Nearly 1.2 million of those people live in deep poverty, families making below 50% of the poverty level. The thresholds for deep poverty vary according to the size of the family and ages of family members. For example, a single parent household with three children would qualify for poverty status if earning less than $19,337. Single mothers head more than half of the households in poverty. 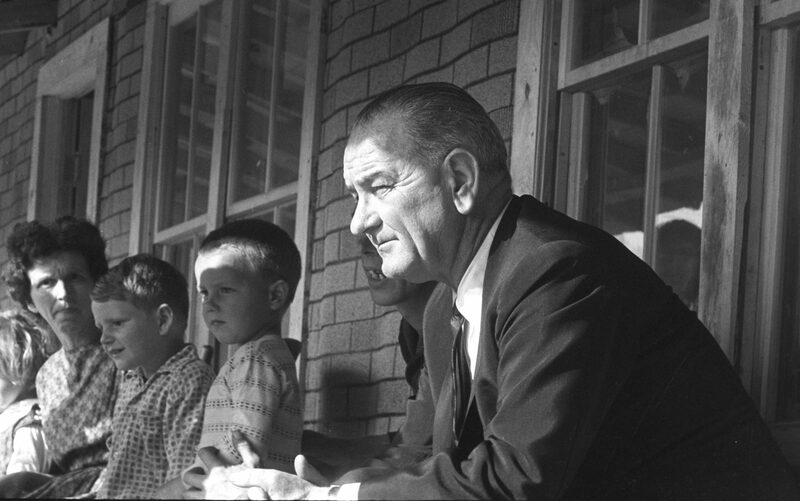 Jack Frech is a 40-year veteran of anti-poverty efforts in southern Ohio where he led the Athens County welfare department for many years. “In my 40 years, I have never seen a time when families are suffering as much as they are today,” he said. Part of his advocacy included leading lawmakers, officials and media members on tours of poverty stricken areas in Ohio’s Appalachian southeastern counties. But he said little came of those efforts. “To be blunt about it, neither political party wants to be the political party that bailed out poor people,” Frech said, but he is hopeful the U.N. visit could have a different effect. He said this is documented in the monthly food stamp reports compiled by the U.S. Department of Agriculture, a program Frech administered at the local level. “We threw thousands of families off of assistance because they weren’t able to do the work requirements,” he said. According to the most recent report, 20 percent of those households on Supplemental Nutrition Assistance Program, or SNAP, had no cash income of any kind in the month the data were collected. The Institute for Research on Poverty shows supplemental benefits like SNAP play an important role in reducing extreme poverty. The most recent report shows SNAP “reduced the depth and severity of poverty by 15.1 and 19.0 percent, respectively.” However, the authors note that statistics on poverty are prone to underreporting, and the actual impacts of SNAP may be twice as high. The Trump administration has proposed more than $150 billion dollars in cuts to SNAP over the next ten years. The U.N. visit will also explore access to health care for the poor, including a focus on women’s health services. Margaret Chapman Pomponio directs the reproductive rights advocacy group WV FREE, which will participate in the U.N. town hall. She said systemic poverty significantly affects the reproductive health of women in West Virginia. That means many women in West Virginia must travel long distances to receive reproductive health care, she said, and that translates into time away from family and time off from work or school. “It is not just money lost, but it actually perpetuates an unequal system where the well-heeled are granted access to better health care,” she said. Pomponio said she thinks the U.N. visit might serve to highlight the benefits of policies in some Scandinavian countries where families receive both maternity and paternity leave, living wages and are guaranteed reproductive rights. “I think we could learn a lot from the economic and social policies implemented in those countries,” she said. 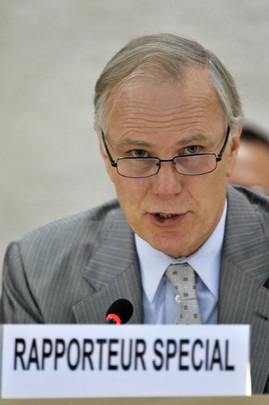 Special Rapporteur Alston said poverty is always the result of political choices. “Politicians who say, ‘there’s nothing I can do about that’ are simply wrong,” he said. Alston has just begun his nationwide fact finding mission with events in California. Other stops on the tour include Alabama, Georgia, and Puerto Rico, before concluding in Washington D.C. He said he is still in the process of looking at changes since the 1996 Welfare Reform Law that was implemented during the Clinton administration and what may come from further proposed reductions in assistance programs. Alston will share his preliminary observations and recommendations at a press conference on December 15, at the U.N. Information Center in Washington DC. A final report on his visit to the United States will be available in spring, 2018.